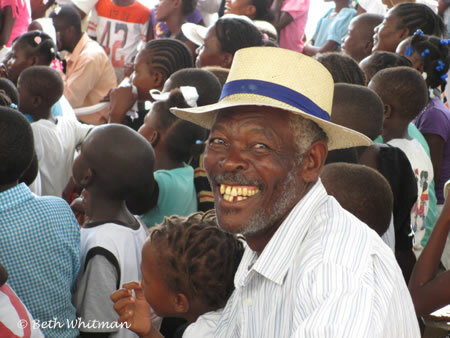 I’ll write more about my brief visit to Haiti next week, but I wanted to add this photo today to show the beauty in these people. The above photo was taken at the inaugural ceremony of one of the water wells that was funded by Passports with Purpose during our 2012 fundraiser. The man (and the entire audience) was in stitches watching a performance by residents of this small (300 people) community. The joy that day was palpable – can’t wait to share more!